This product contains enzymatic additives ensuring removal of food residuals. Another component is a substance with whitening effects for a good appearance of artificial teeth. 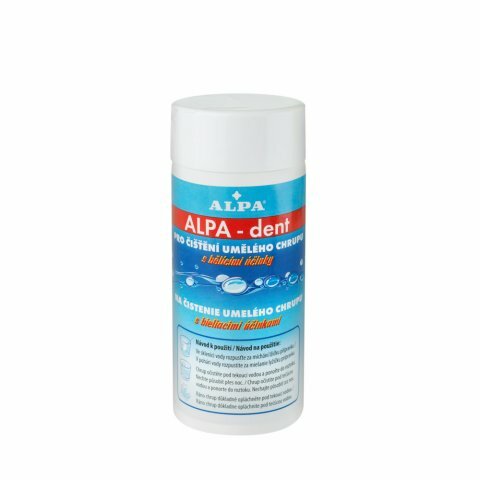 Dissolve a teaspoon of the product in a glass with water, immerse the cleaned teeth into the solution and let it operate. Then it is sufficient to rinse it with water. Danger. Causes serious eye damage.